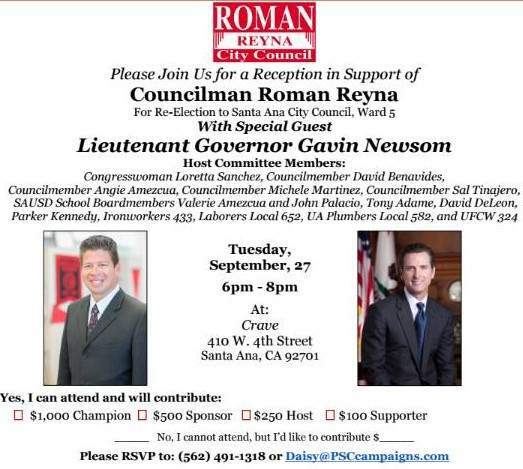 Who will replace Roman Reyna in the Santa Ana City Council’s Ward 4? 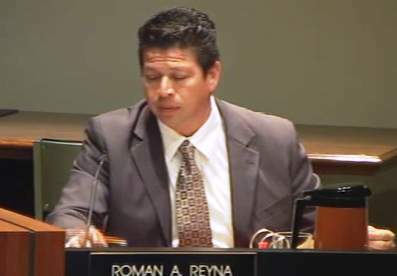 Roman Reyna’s latest term on the Santa Ana City Council is already over, as we reported last night on our Facebook page. 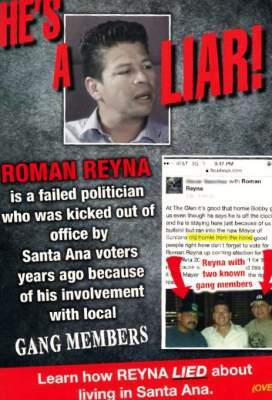 Reyna was just elected in November, to Ward 4, after his allies conducted a horrific smear campaign against his opponent, former Santa Ana Planning Commissioner Phil Bacerra. 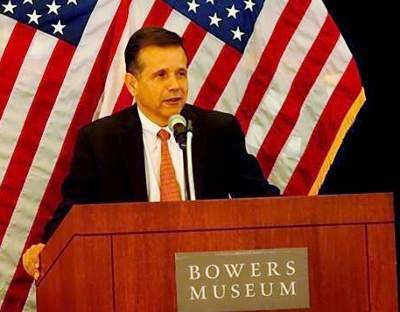 Bacerra however sued Reyna on the grounds that Reyna had not proven he was eligible to run for Ward 4. 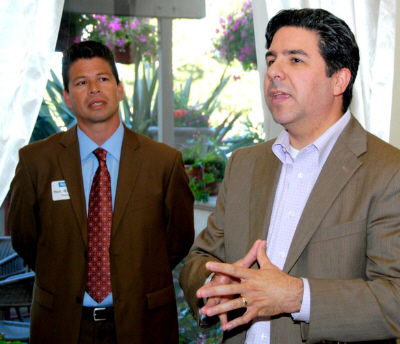 Reyna agreed to a settlement which will see him step down from the City Council by March 1. Reyna also agreed not to seek appointment or run in a special election for the Ward 4 seat. 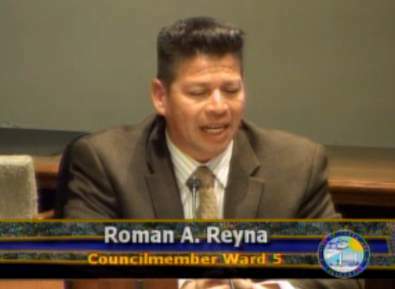 The City Council can now appoint someone to replace Reyna in Ward 4. They could also call for a Special Election however that is most unlikely due the high cost of conducting such an election. 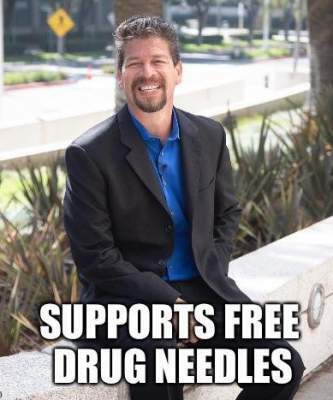 So who will replace Reyna in Ward 4? My sources tell me that there is no consensus candidate. One might argue that Bacerra should be appointed however the smear campaign against him cost him support on the City Council – and a few of the current City Council Members were allied with Reyna in the last election. The City Council last night approved the MOU with the Santa Ana Police Officers Association. However they were unable to approve a means to fund that new contract as they lacked one vote – as Reyna blew off last night’s meeting. While Reyna could return to the City Council in two weeks my sources tell me that the City Attorney has asked him not to vote on any other items as he could open the city up to lawsuits. So don’t be surprised if he continues to skip out on meetings while getting paid up to March 1. The City Council also had to delay a decision on the apartment development project at 2525 Main St. Santa Ana Mayor Miguel Pulido had to continue the public hearing on that development when 150 public speakers showed up and the hearing dragged on until 11:30 p.m. That matter will be resolved at the next City Council meeting, in two weeks. While the current City Council lacks a consistent majority they will have to muster at least four votes to replace Reyna. It will be very tough to find a decent candidate in Ward 4. If the replacement won’t be Bacerra my personal inclination would be to find a woman candidate to replace Reyna as the current City Council only features one woman – Ceci Iglesias.